Nearly done with May already! 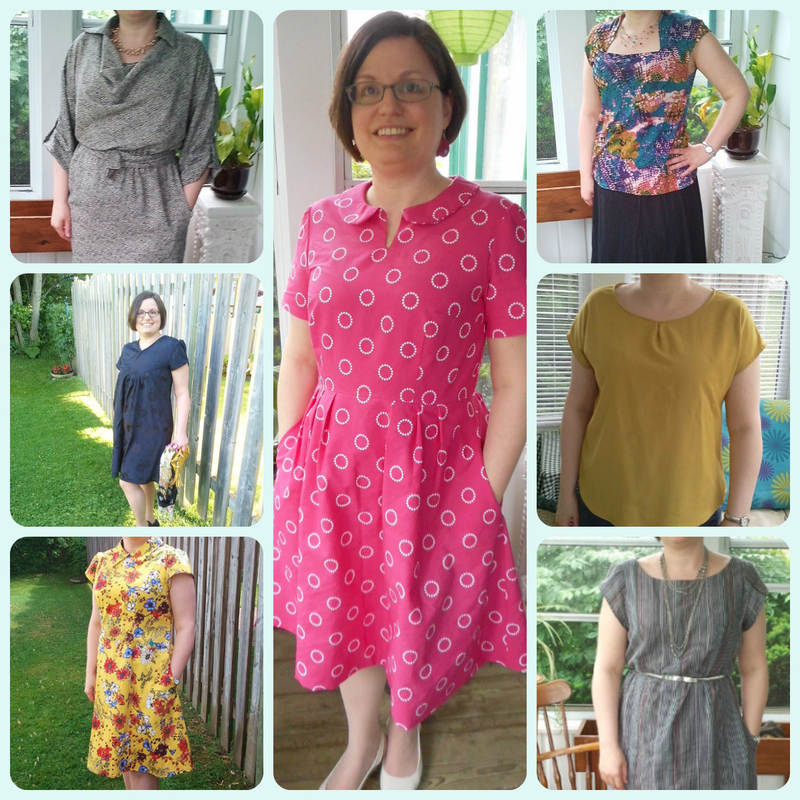 I've been having such a great time sifting through my closet this month, as well as wearing the couple of items I've finished up in May. Lots to think about in my handmade wardrobe now. This week I wore a mixture of dresses and tops, whatever I decided to wear that day. I also finished 2 dresses, one as yet unblogged, so wore those, of course! Zsalya by Kate & Rose -- once again I was fortunate enough to have a theatre opening to wear this dress to -- it was the opening of Hamlet, which, though sounding cliched, is my favourite Shakespeare. It was wonderful. I hope everybody else is having a lot of fun with Me Made May as well. It's been really nice seeing everyone's style this month. You have some lovely outfits Melwyk. Hope you enjoyed Me Made May. Thank you! Yes, I did, and hope you were enjoying yourself too.